Well my first ever eviction process has started, I’ve lasted 8 years in property without ever having to do this! My tenant has done (and admitted to) several thousands of pounds worth of damage to the property. A section 21 has been served (using NLA form) and the expiry date is near end of July. The Police have been informed and I have a crime reference number (though they’re not going to do anything). My tenants are now in arrears because they are saving the rent which should come to me for the deposit and advance rent on their next property, so I’m assuming by the time they leave they will be at least 7 weeks in arrears. I have sent a rental demand to them and to their guarantor, but no response yet! My question is, can I start any legal proceedings/ claims process while the S21 is running? Indeed, can I make any claim for arrears now I’ve served the S21? They weren’t in arrears when it was served. My insurance company will send out a loss adjuster once the tenants have vacated though they won’t confirm they will accept the claim until that point. My tenants deposit (all protected correctly and tenants signed to confirm receipt of prescribed info) is £600. Arrears will be (and of course they may not move out when they should!) just short of a thousand and property damage I estimate around £3,000. Really grateful for any advice from landlords who have been though this process. 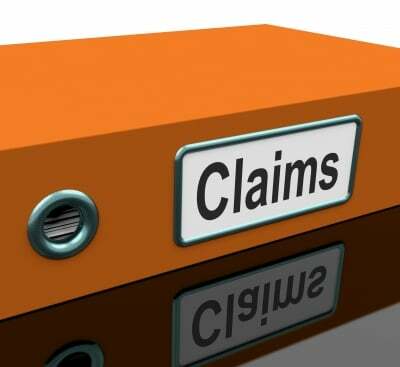 You can certainly begin claims in the Small Claims Court against your tenants and their guarantors before you obtain possession. This should refocus their minds too! When the case ghets to Court you will be able to update any claims. Note that if they exceed £10,000 though then Small Claims Court will not be applicable. The success or failure of claiming for damage to the property will be highly dependent upon your inventory evidence. You say your tenants have admitted to the damage, is this verbally or in writing? Check your insurance policy to see whether malicious damage caused by tenants is covered, often it is not. You may find these guts useful in respect of your damages claim >>> http://www.property118.com/help-property-insurance-claims/74200/ and you have nothing to lose by contacting them. With regards to the eviction, I strongly recommend that you seek professional help - see >>> http://evicting-tenants.net/ because you may be able to serve a section 8 notice as well as section 21, in which case you will be able to apply for a possession and money order within two weeks. Thanks for your advice Mark. Really helpful as usual. The tenant has admitted verbally that he caused all the damage. I can only ask him if he's prepared to sign something! The inventory details everything as 'new' as I did a complete refurb and the house has only been let to these tenants. I have original photos and also photos of the damage. I'm visiting again tomorrow as the neighbours called the police on Saturday again due to excessive noise - which suggests there may be more damage. I am taking someone with me as I no longer feel safe going on my own. Malicious acts, including by the tenant, are covered by my insurance policy. Thanks for the link - I will get in touch with them. I will also start small claims proceedings and see whether that prompts any payment. Do I make the claim against the tenants, the guarantor, or both? I'd personally recommend that you make claims against both tenant and guarantor jointly. However, please speak to Landlord Action about that as they are better place to advise you than I am. "As new" wouldn't be good enough in most cases to win at deposit protection arbitration. However, as the damage is far greater than the deposit and you are taking the matter to Court you may stand a better chance, especially with photograph evidence. If you lose then it will have been a very costly lesson to get professional inventories done in the future. If you win then look at this as a lucky escape and get it right from this point onwards. Please have a look at this link >>> http://www.property118.com/property-management-checklist/67891/ - it will save you a lot of time, money and grief in the long run I can assure you. Just an update. A telephone call to the guarantor elicited success. The rent was paid up to date and tenants moved out, having signed the exit inventory admitting they had caused the damage and that the full deposit should be returned to me. The loss adjuster is looking at the property next week. So, a result! Not good for the stress levels though!